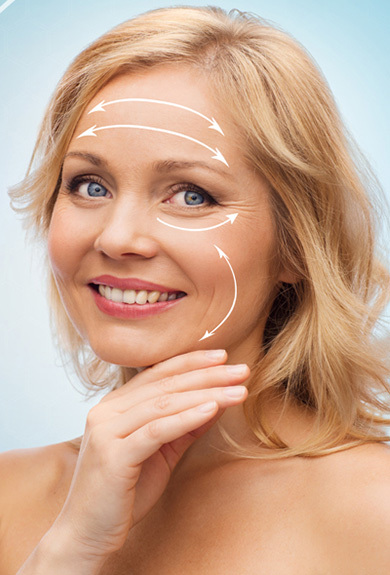 Over the years, the loss of elastin and collagen leads to wrinkles and sagging on the skin. It is possible to obtain very good results with V-Lift without any need for surgery in order to restore the skin, get the wrinkles out and lift sagging. The skin is anesthetized with a local anesthetic cream before lifting. After skin numbing, the stitches inside the very thin needles are placed under the skin. These stitches, which are also used in cardiac surgery and called PDO, stimulate repair mechanisms and increase collagen production without causing a negative reaction on the skin. These stitches melt on the skin within 6 months and their effect last 2 years in average. Small edema and bruises can occur after the procedure. They will disappear within 1-2 days. A cold compress minimizes them when it is applied after the procedure.